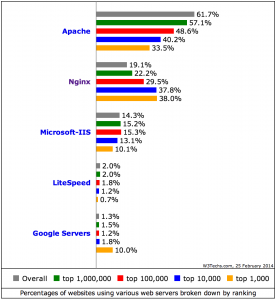 The survey didn't distinguish between the Nginx community server and the paid Nginx Plus. 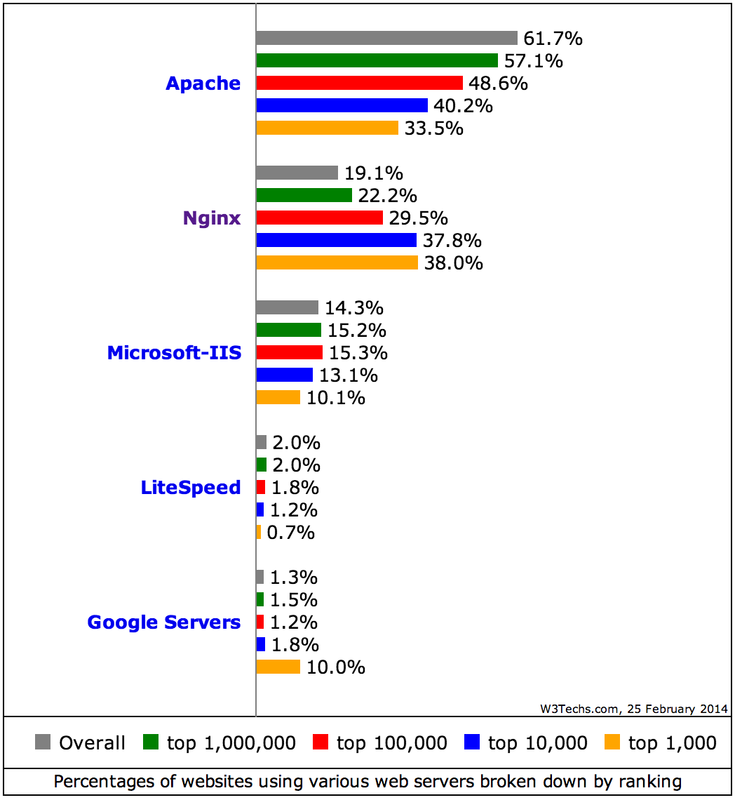 A typical WordPress powered site is built upon the very popular LAMP stack (Linux + Apache + MySQL + PHP). Much of the WordPress development effort has gone into optimizing code for the LAMP stack. 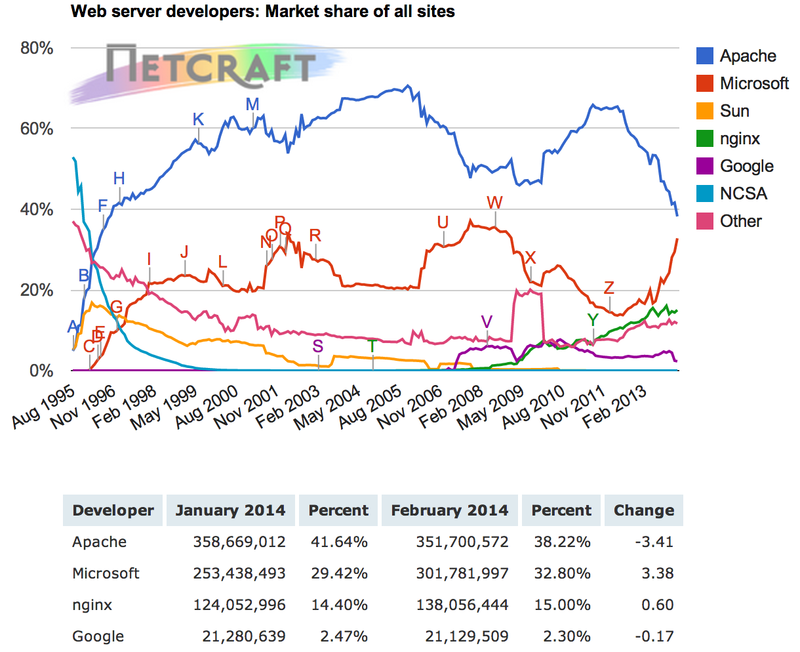 But WordPress can work on other web servers besides Apache. I've run a WordPress development environment under Windows and most recently I enjoyed the challenge of setting up a WordPress multisite site installation on an Ubuntu powered VPS. It's a development site, but it is wickedly fast! EasyEngine (ee) is a linux shell-script to manage your WordPress-Nginx websites on Ubuntu and Debian servers. rtCamp is a web solutions provider company, prominently working on open-source projects. When you run the EasyEngine install, it does everything for you. It installs Nginx, MySQL, PHP and WordPress in whatever configuration you've chosen. The particular development server upon which I've been working was originally installed by someone else who selected a single WordPress installation instead of the multisite that was requested. Instead of blowing away the site and starting over, I decided to modify the current site to make it multisite. There are plenty of instructions on the EasyEngine site to make this happen, but there is one thing that they apparently overlooked. Their multisite subdirectory configuration files refer to the blogs.dir directory. Blogs.dir was used in WordPress multisite until version 3.5. If you build a new multisite installation with WordPress 3.5 or higher, the blogs.dir directory won't exist so the Nginx configuration files will be wrong. You would have to replace blogs.dir with uploads/sites to make the config work. Other than that little gotcha, Nginx is definitely the way to go.